L’innovation est improbable sans un financement adéquat, c’est pourquoi, chaque année, R&D Magazine et le Battelle Memorial Institute Project publient un document dans lequel ils analysent l’incidence des développements politiques et des conditions économiques à travers le monde sur la R&D pour l’année à venir. Le 2014 R&D Magazine/Battelle Global R&D Funding Forecast offre une analyse complète de l’état de la recherche industrielle dans le monde entier. 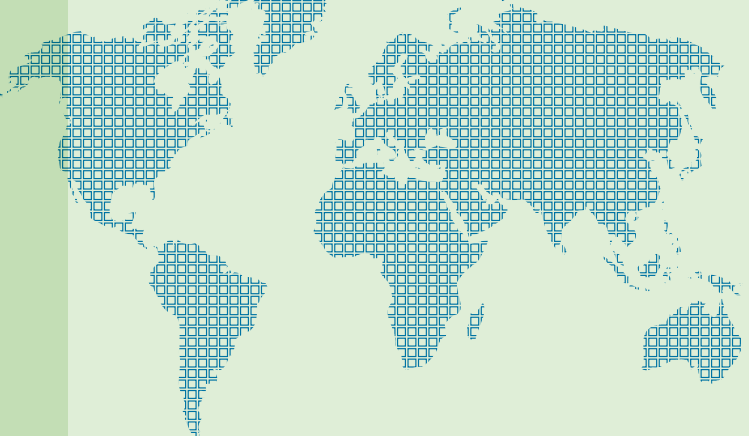 Battelle Memorial Institute and R&D Magazine have released their annual Global Funding Forecast, an assessment of global political and economic impacts on worldwide industrial research. The report notes that although global R&D spending by leading countries has remained virtually unchanged since the Great Recession, the flows of innovation research have changed substantially. Research collaboration between countries has increased markedly and the scope of research partnerships, particularly between Southeast Asia and the U.S. and European Union, has broadened significantly. The result is a growing global innovation ecosystem that leverages national advantages in tech commercialization and industry engagement to increase the economic return on public and private R&D investments. 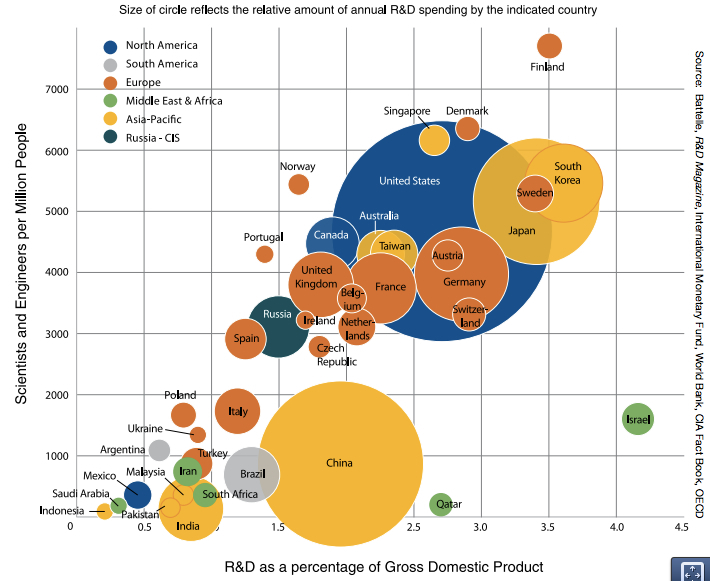 The globalization of R&D has been driven by R&D spending growth in the developing world, the offshoring and out-sourcing of portions of Western R&D, and the growing need for large-scale scientific collaboration to address major challenges. The report also notes that while national budget constraints in the West will most likely continue to stifle investments in innovation, China is investing in technology on an unprecedented scale that utilizes global research assets to drive their national ascendancy.